We have all been touched by an animal at some point in our lives. Most of us are also aware of the many abuses our animal friends suffer at the hands of humans. Calabasas High School student Sophie Helfend speaks out for those animals to raise awareness about animal cruelty. 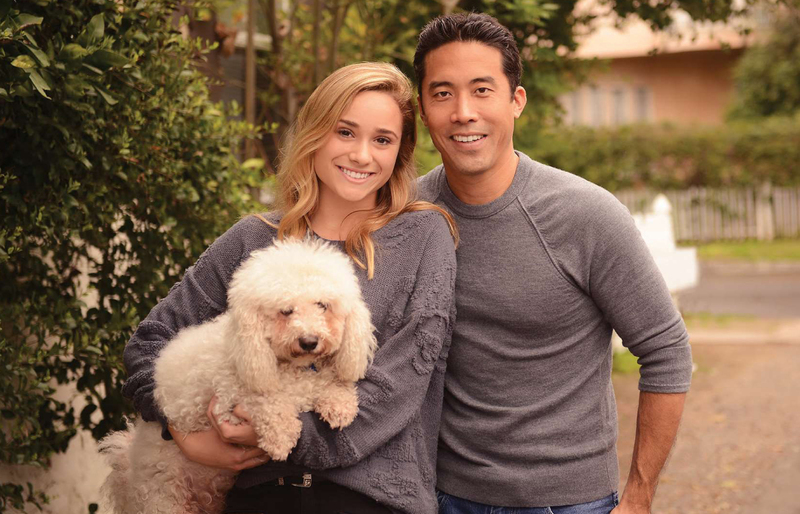 She started a club at her school to support the efforts of an amazing organization called the Animal Hope and Wellness Foundation, founded by animal rights advocate Marc Ching. After learning about the horrific practice of torturing dogs before slaughtering them for meat during the Yulin Dog Meat Festival in China, Marc set out to rescue these beloved creatures in Asia. His foundation also maintains a website (reportanimalabuse.org) where concerned citizens can leave tips regarding possible cases of local animal abuse throughout Los Angeles. Once Sophie learned about Marc and his organization’s courageous work, she knew she wanted to help. She now volunteers at the local Animal Hope and Wellness Foundation shelter in Sherman Oaks, where she cares for some of the dogs Marc brings back from China and others. She is amazed by their resilience and ability to trust again. Sophie and her cousin, AJ Eckstein, also plan a fundraiser every few months to benefit Animal Hope and Wellness. They’ve already raised over $3,800 and will continue to raise funds to help Marc and his heroic efforts. If you are interested in donating or adopting or getting involved with this amazing organization please log on to animalhopeandwellness.org. When tennis enthusiast and Calabasas resident Anne Star met Coach Marty Woods at a pro-am ten­nis tournament in Calabasas seven years ago, she was inspired by his work mentoring underprivileged children through the Pete Brown Jr. Tennis Program at Harvard Tennis Park in South L.A. Anne and her husband, Todd, along with their son, Jonathan, who is now on tennis scholarship at Tulane, jumped in to help. The program offers free tennis lessons, rackets, shoes, and clothes to children in grades K through 12. They also hold special events and tennis outings. This year, Anne and her husband helped organize the holiday event and scored big points with the largest turnout ever of over 450 children and parents. Anne and the coaches help instill sportsmanship, self-respect, and discipline. The kids create lasting friendships and have great fun. The program also offers tutoring to help keep students on the ball at school as well as on the court. A few of the students receive scholarships and some are the first in their families to attend college. Their lives are forever changed as they learn skills to help them escape the cycle of poverty. The program’s current goal is to raise $4,500 to hire an additional coach and allow 22 new kids into the program. Those looking to contribute can visit their website: pbjtp.org. 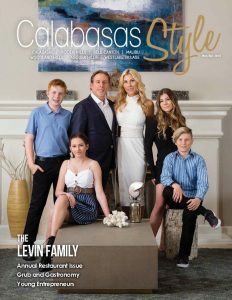 Long-time Calabasas residents, educators Carole Donahue and her husband Dr. Robert Donahue founded SOSMentor Shaping Our Students in 2,000 to encourage underserved youth to make healthier choices. They switched gears from their initial concept of a college and career readiness program when kids at a downtown high school remarked that they were more concerned about childhood obesity and diabetes than drugs, guns, and violence. Each year, they provide free nutrition and physical activity education to over 16,000 low-income students across Los Angeles. They hope to bring their programs to Calabasas schools through the help of local individual and corporate partners. Nearly 42% of young people in Los Angeles County are overweight or obese. Using cutting-edge educational techniques such as peer mentoring, service learning, and artistic expression, the SOSMentor Shaping Our Students programs train kids of all ages to eat healthier and lead more physically active lives. They also incorporate mindfulness, yoga, and stress-reduction practices into the curriculum to enable at-risk kids to choose a healthier lifestyle. The team is currently looking for passionate individuals to join their board and make a difference in the lives of low-income kids and their families. Their annual fundraising event, A Toast to Healthy Kids, will be held on April 26 at the San Antonio Winery. Tickets can be purchased on their website sosmentor.org.